For natural tourmaline mineral specimens, select any of the mineral names above. 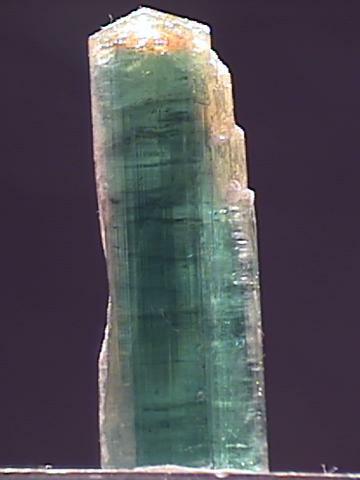 Most people consider tourmaline to be a single mineral. But in fact it is a group named for several different, but closely related minerals. 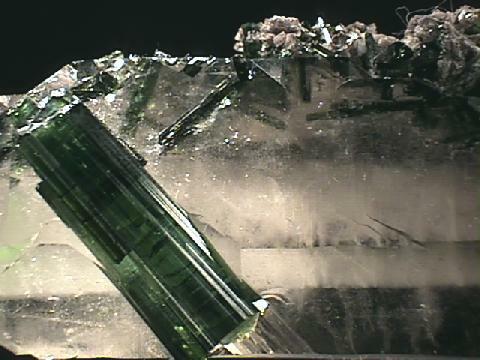 Members of the Tourmaline Group are favorites among mineral collectors. Their rich and varied colors can captivate the eye. 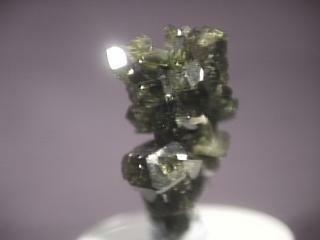 Even the black opaque tourmalines can shine nicely and produce sharp crystal forms. Tourmalines are cut as precious gems, carved into figurines, cut as cabochons, sliced into cross-sections and natural specimens are enthusiastically added to many a rock hound's collection. The four most common and well known tourmalines are distinguished by their color and transparencies. Elbaite is the gemstone tourmaline and comes in many varied and beautiful colors. It is transparent to translucent and is highly prized as minerals specimens and as gemstones. Elbaite is easily the most colorful of all the gemstones. 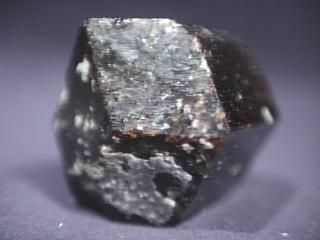 The iron rich schorl is the most abundant tourmaline and is black and opaque. It is a common accessory mineral in igneous and metamorphic rocks and can form nice crystals. Although too opaque to be used as a gemstone, schorl is used as an ornamental stone when found as inclusions in quartz, a stone is called "tourmalinated quartz". Usually when someone refers to tourmaline they are referring to either elbaite or schorl. 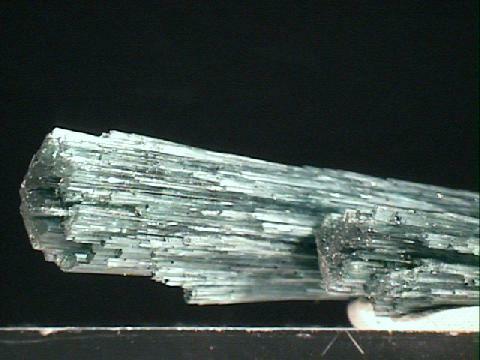 The two other more common tourmalines; dravite and uvite are much less common than elbaite or schorl, but they are getting noticed for their beautiful specimens. Some of dravite's crystals are nicely formed, translucent brown and they can reach a rather large size. Uvite is a green translucent to opaque tourmaline that is growing in popularity and is being cut as a gemstone. 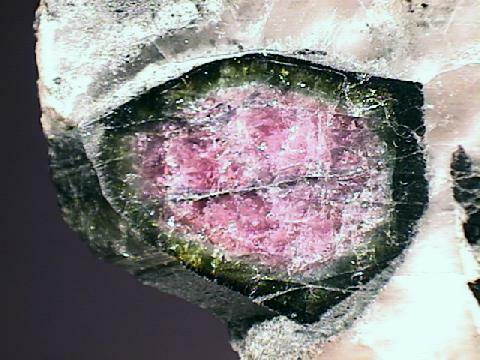 The Tourmaline Group has a general formula of AX3Y6(BO3)3 Si6O18(O, OH, F)4. The A can be either calcium or sodium. The X can be either aluminum, iron, lithium or magnesium. The Y is usually aluminum, but can also be chromium or iron. 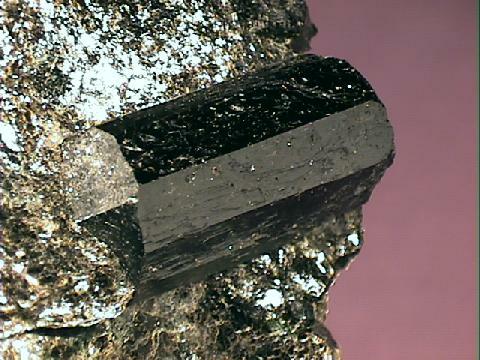 Some potassium can be in the A position, some manganese can be in the X position and some vanadium can be found in the Y position, but these elements are usually not represented in the formulas of the tourmaline members.